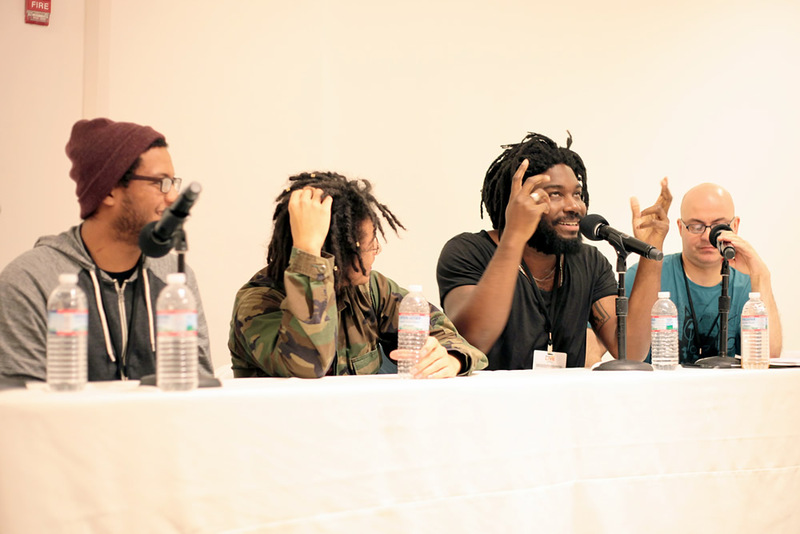 In our inaugural year Book Riot Live hosted almost 50 speakers and 1100+ attendees across November 7 & 8. Young poets from Urban Word joined author Jason Reynolds (second from right) and poet Vincent Toro (right) for a panel on spoken word. 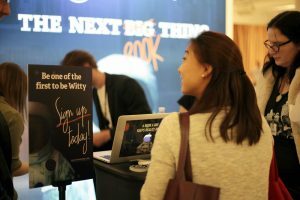 Attendees enjoyed presenting sponsor Bookwitty’s interactive booth. An attendee presents bestselling author Margaret Atwood with her choice of candy. 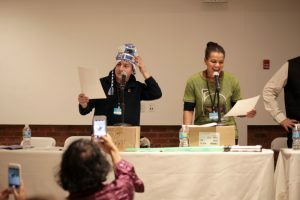 Voice actors Jonathan Davis and January LaVoy ham it up during Alas, Naughty Droid: a reading from Shakespeare’s Star Wars. 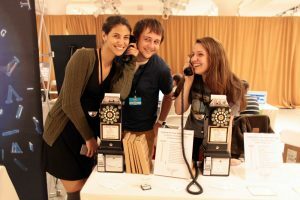 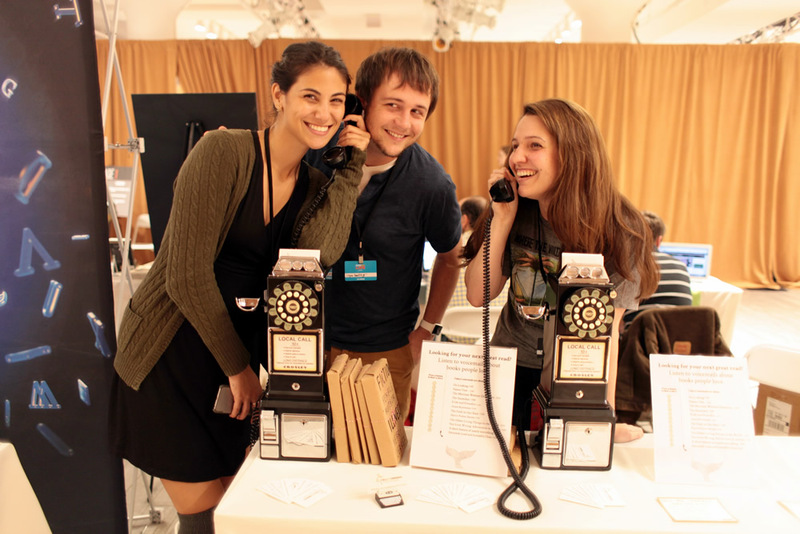 The team from Call Me Ishmael demonstrates their Kickstarted phones. 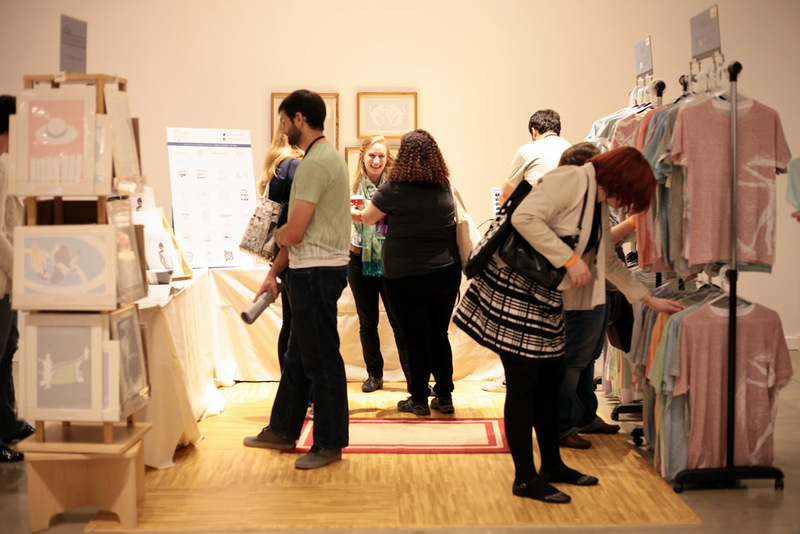 Attendees browsed Litographs’ fully stocked booth. 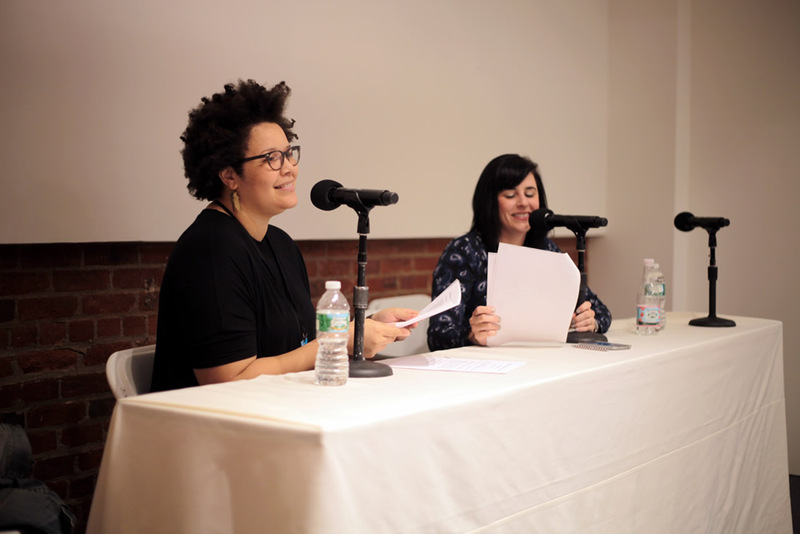 Author Danielle Henderson and librarian/Rioter Rita Meade recorded a live edition of the Dear Book Nerd podcast. 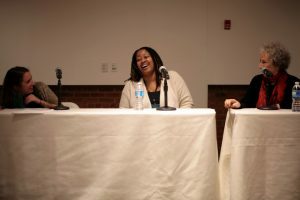 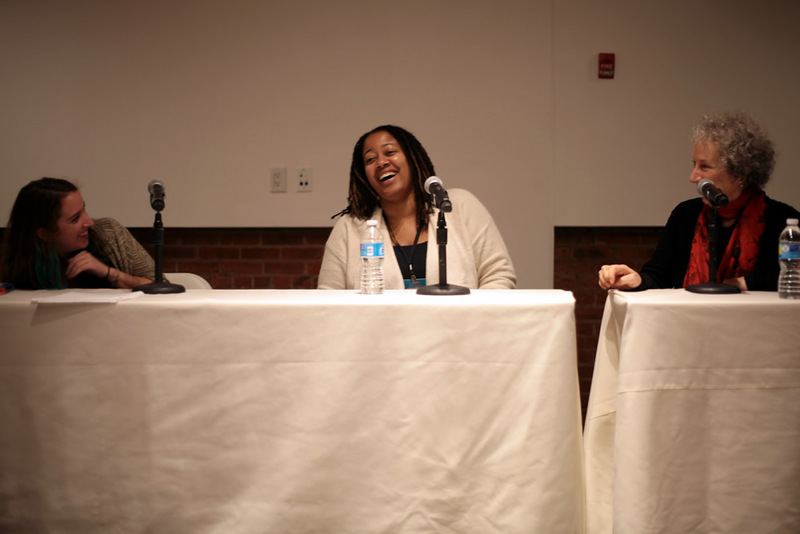 Left to right: moderator Jenn Northington, NK Jemisin, and Margaret Atwood had a lively discussion about world-building in fiction. Publishing Perspectives wrote up Book Riot Live, and if your names are Joanna and Amber, you’re in it. The Guardian wrote up our Writing What You Don’t Know panel with N.K. 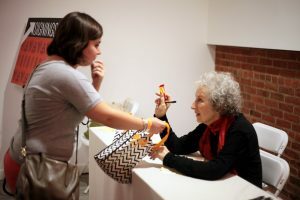 Jemisin and Margaret Atwood. 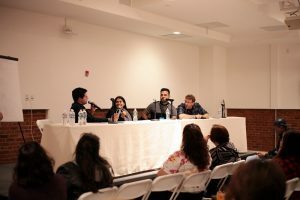 The Millions reviews Book Riot Live, and contemplates the interactions of readers and conventions.